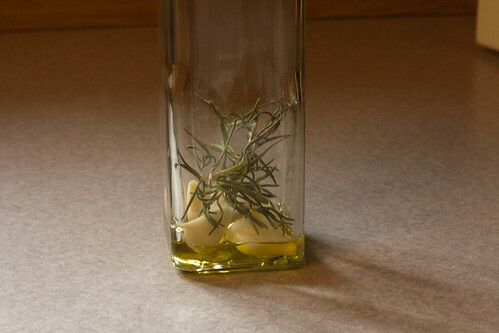 I decided that it would be super fancy to have Rosemary Garlic infused olive oil. You all know how I like fancy. We grew garlic in our garden this year, and I’ve had a pot of Rosemary getting sunny on my windowsill for a few weeks now. All I needed was a vessel for the concoction, and we’d be in fancy olive oil business. So, one weekend when my parents were in town and we had reason to go to the mall, I decided it would be the perfect opportunity to buy a nice glass bottle and some nicer quality olive oil. We have a store in our mall that sells oils, vinegar, etc. After much debating about which bottle would look prettiest on my counter and would also be wide enough to put garlic into, I ended up getting the free bottle. You know, the tall square one that’s free. You simply buy the oil. Fair enough. She filled the bottle to the brim, stuck the plastic cork into the mouth, wrapped the top with plastic, wrapped the whole bottle in tissue paper and carefully tucked it into a bag. I thought a metal pour top would be a nice touch, so I set that on the counter as she was ringing up my purchase. Come again!? Wasn’t that the free bottle?! Yes, it was. And she had forgotten to ring up the $3.95 topper that I’d set on the counter. Black Truffle oil is fancy. A little too fancy, methinks. Completely stunned and embarrassed that I’d just paid $40 ($40! $%^&*!) for olive oil, I picked my jaw up off the ground and hurried out the door. Fortunately, infusing the oil is a far less painful process. 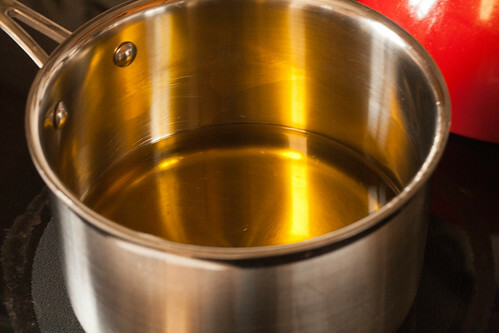 Slowly and gently heat olive oil in a sauce pan until it reaches 150F. Chop garlic cloves in half or quarters so it will fit through the mouth of the bottle. 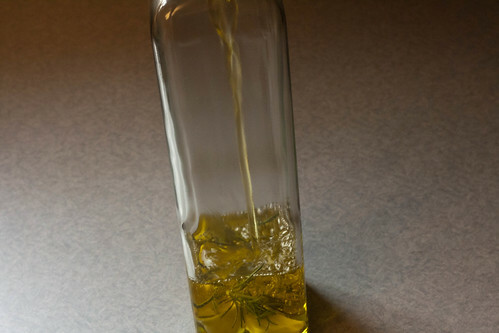 Place garlic and rosemary sprigs into the bottle, then use a funnel to fill the bottle with the warm oil. 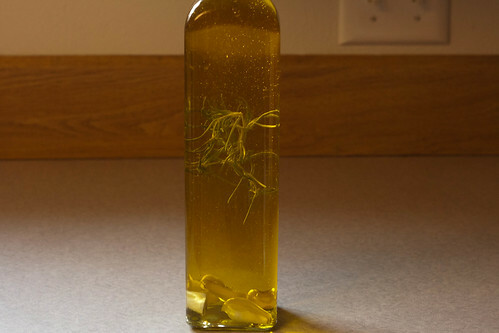 Refrigerate the oil for two or three days before use. After that, it can be placed on a counter or in a cupboard. Just be sure that the oil doesn’t sit in direct sunlight and isn’t exposed to heat. 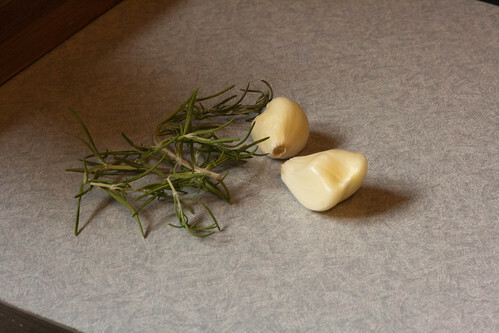 You may also remove the garlic and rosemary if the flavor starts to get too strong. And for $40, you can bet that I’m going to use every last drop!